This ear-flap hat is perfect for anyone who has a busy schedule and needs to grab and go. 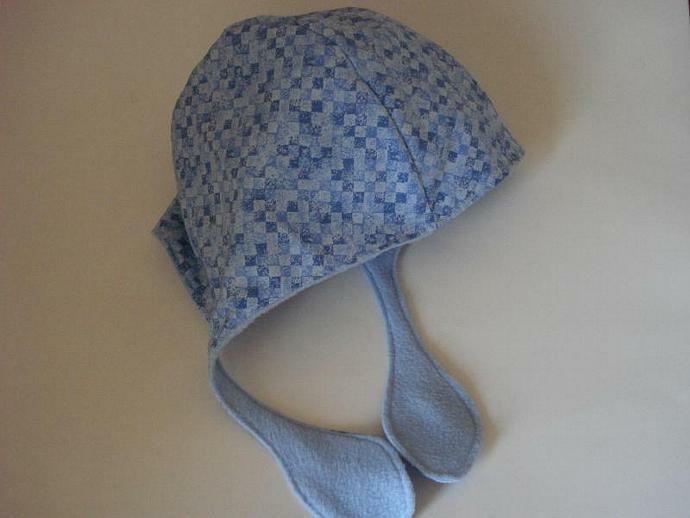 Made with variegated blue checks cotton fabric and lined with light blue fleece for extra warmth and comfort. The flaps are more decorative but also serve to keep weigh down the side so ears stay covered. Nape of neck to forehead: 15.5"
Across top ear to ear: 17.7"